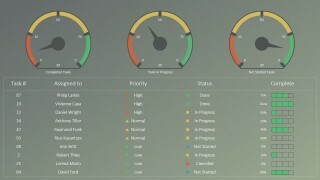 The Data Driven RAG Project Status Dashboard for PowerPoint is a professional PowerPoint Template designed for Project Managers and Program Managers in charge of Software Projects. 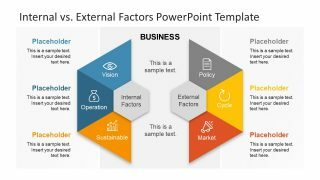 Each slide provides a PowerPoint Dashboard designed to present KPI’s (key performance indicators) in a professional fashion. Users can populate the charts values editing the excel table associated with the data driven chart. 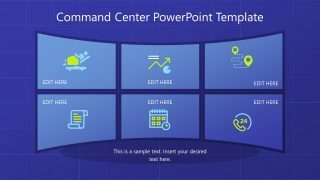 Shapes and tables are created with PowerPoint, allowing the user to fully customize it to the desired theme. The RAG term is an acronym for Red, Amber and Green. 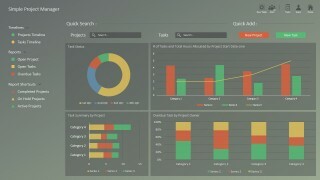 It is widely spread over project management practices and used for KPI’s and Dashboards. 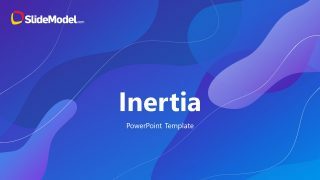 The first slide is an overall Project Description slide. It can be replicated for each of the projects of the Program. Under the Project Status Section, a circular indicator can provide a RAG indicator for project health. In the table bellow, the slide presents the Top 4 ongoing activities and the top 4 issues. A data driven line chart is used to create a burndown chart. 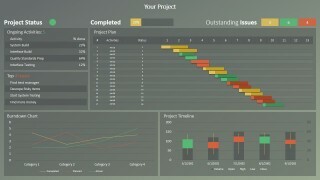 As the main component of the slide, the design presents a data driven Gantt Chart. Created with an horizontal stacked bar chart, the user can populate tasks and progress directly from excel. The timeline is described as a candlestick chart, but the user can replace it with any of the PowerPoint Timelines of our gallery. 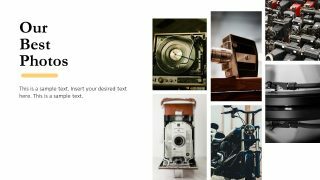 The second slide is a Test Cases description Dashboard. The user can record the number of test cases and their coverage. Actual vs Planned Test case execution and Passed Success Rates are described In the bottom of the dashboard as column charts. 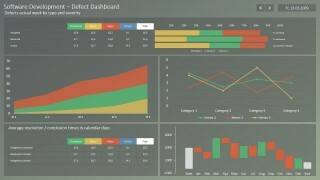 The third slide displays a Software Development Defects Dashboard. On Top, the key metrics for defects summarized by category. At the right, a percentage of progress described by task. In the center, a cumulative stacked area chart described the progress over time of bugs, while a line chart describe its resolution trends. Finally in the bottom of the slide, two statistical charts are displayed, in the left a table with the average resolution times for bugs, in the right, a waterfall chart describing the inclusion/resolution statistics per months. 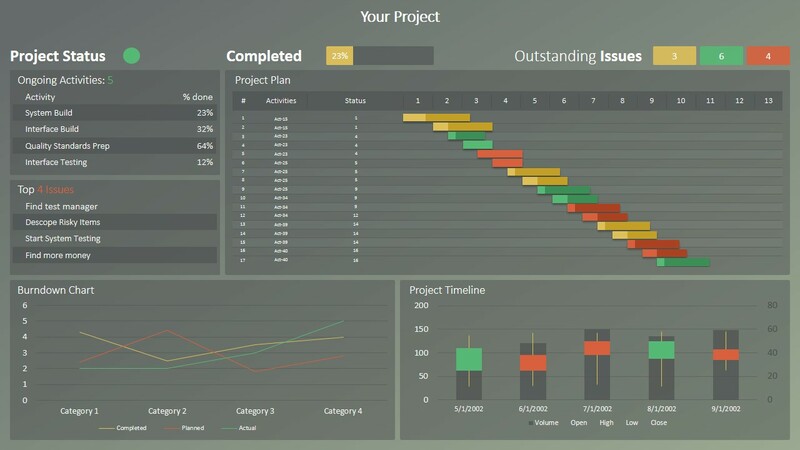 The fourth slide provide three gauges where the project manager can record the number of completed tasks, pending tasks, and not started tasks. A Table in the bottom record the top 10 tasks, its owners and current progress. Finally, the las slide is intended for project managers to summarize different projects status over the program.